The "Zeiteninsel" is an Archaeological Open Air Museum situated in Weimar-Argenstein near Marburg. The museum is under construction since 2010, although erecting of buildings started in 2017. 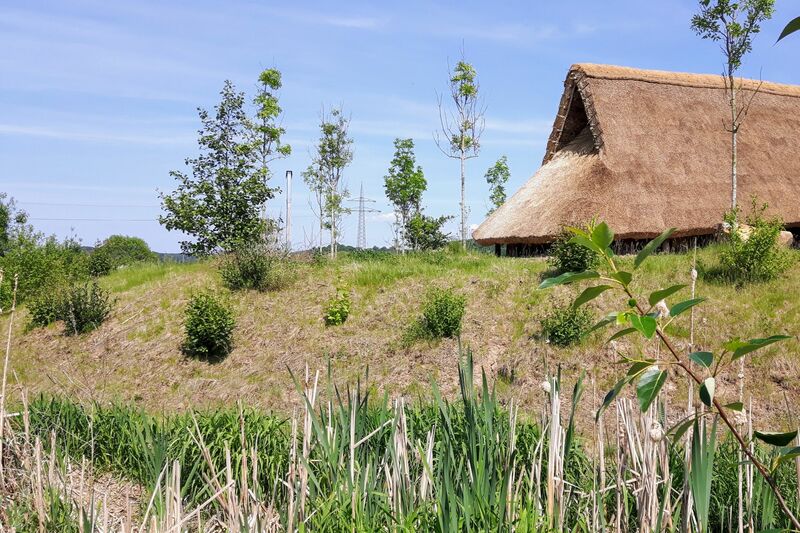 Archaeological findings in the main excavation site span over at least 9000 years and will be presented in five so called time-stations at the "Zeiteninsel": the Mesolithic, the Neolithic, the Bronze Age, the Iron Age and the Germanic People of the early Roman Imperial Period. Each station will "revive" an archaeological time period and consists of both buildings and fields (apart from the Mesolithic). They are placed into the reconstructed landscape of the relevant era. The construction of the first-time station, a neolithic longhouse of more than 30 m of length, began in 2017. 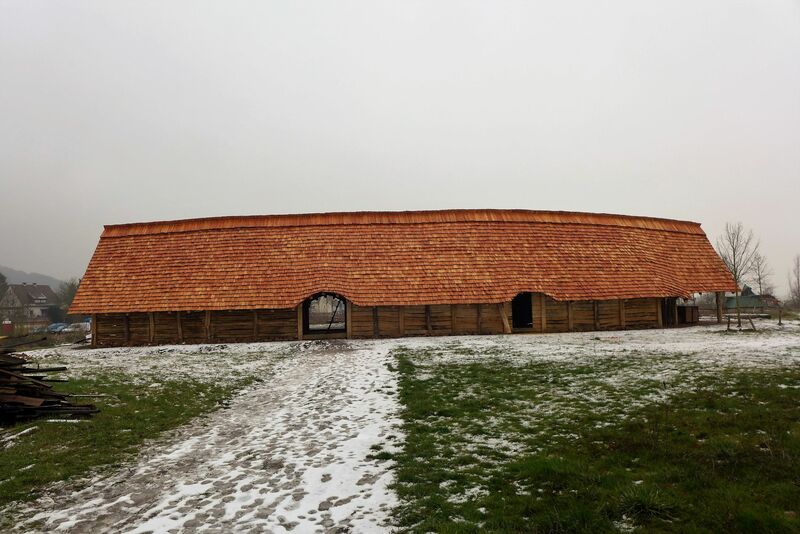 Since 2018 the farmstead of the Germanic People, which date into the early Roman Imperial Period, is under construction. It consists finally of three buildings that are being reconstructed. In the coming years three Bronze Age houses and an iron-age village are going to be realised. Living history and demonstrations are part of the concept. 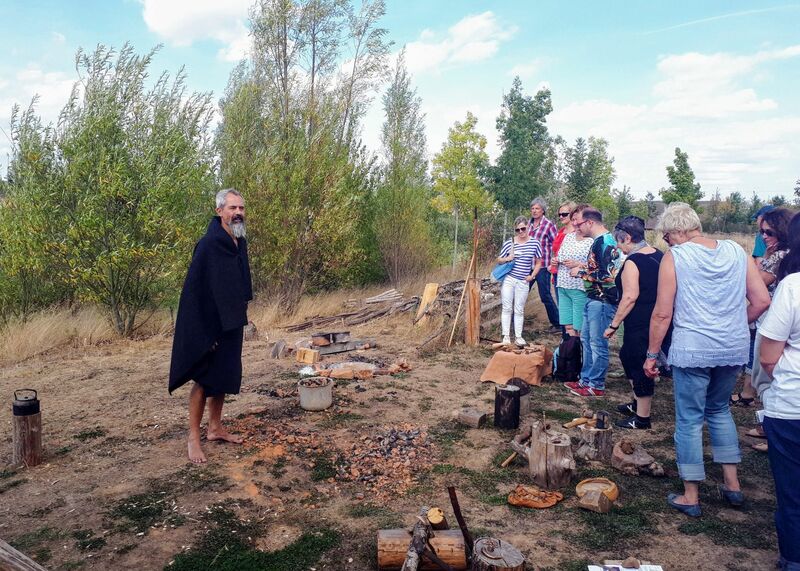 Already since 2014 we offer different workshops which touch a variety of ancient techniques. The "Zeiteninsel" aims to be a place for outdoor- and livelong learning and “ancient-skill”-development not only for pupils. There are also guided tours and events with various actors and archaeo-technicians. 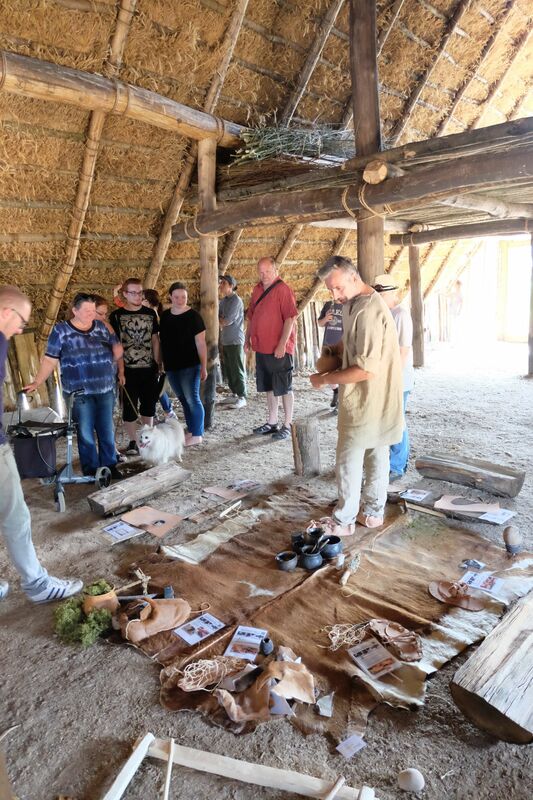 Our main focus is to offer hands-on-activities with visitor participation, but there are also presentations of numerous ancient crafts. The Archaeological Open-Air Museum is expected to open full scale in 2022. My interest in archaeological open-air museums was aroused around 1995 while travelling in Sweden and Denmark, an active phase in the Re-enactment followed up with practical experience in research, planning and producing parts of clothing and common objects. My more professional interest in archaeological open-air museums started in 2005, when I started attending EXARC-meetings at irregular intervals and was graciously accepted as affiliated member in the following years. 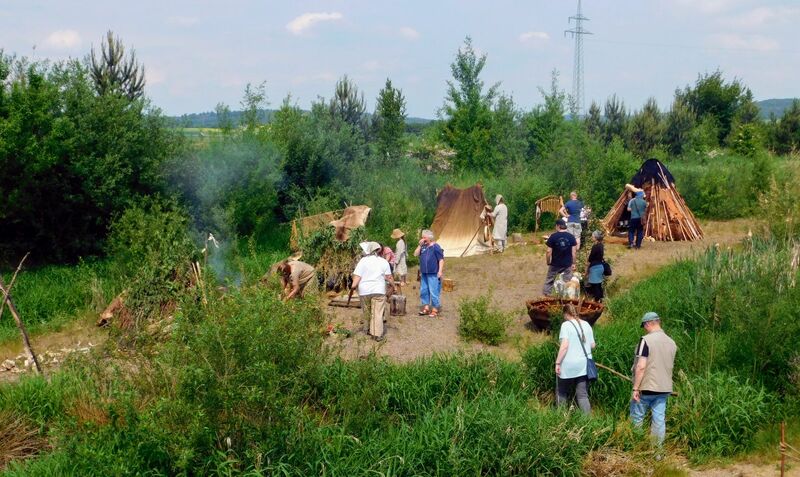 From 2006 I am member of the team which prepares an archaeological open-air museum in central Germany near Marburg, Hessen called Zeiteninsel. For my PhD in Archaeology, I worked with the Iron Age Gotlandic Picture Stones, and for my Masters Degree in Philosophy, I worked with the Bronze Age rock carvings in Bohuslän. My main interest lie in the interpretation of archaeological findings and monuments in order to get people excited about prehistoric times. I am looking forward to challenging tasks concerning archaeological (re)constructions and making it possible for many people to experience what prehistoric life was like. Additional info about Sonja Guber: German native-speaker, fluent in English, basic knowledge in Swedish. Experienced freelancer in layout and pre-print.